Stylish, eco solution for easy catering, green weddings, picnics, barbeques and large out door events. 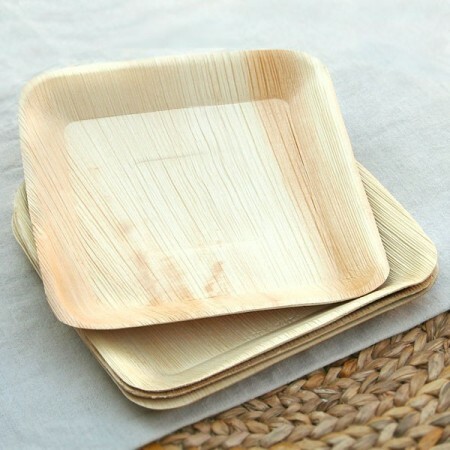 Made from naturally shed palm leaves. Return them to the earth when finished. SKAL certified organic. 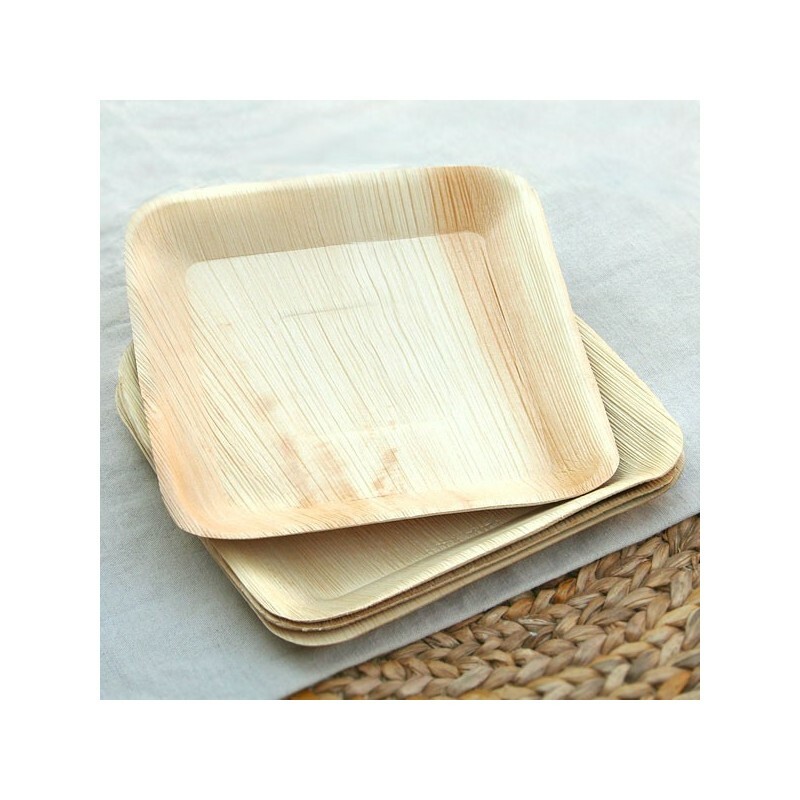 Made from a naturally shed palm leaf sheath, these plates are sturdy, leak proof and can withstand hot and cold temperatures, including baking food and microwave. Dimensions: dinner plate size approx. 25cm x 25cm width. 25 plates. A perfect size and sturdy enough to hold a full plate of food without it collapsing on your lap.